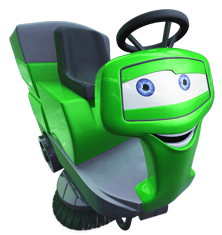 For ultimate hot water cleaning power. 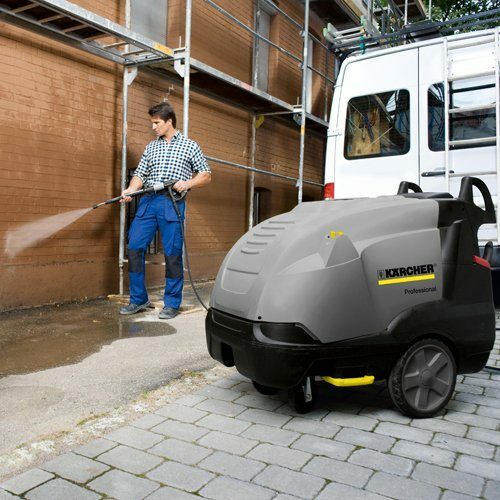 This machine has a built in Diesel powered water heater for extra cleaning power up to 155 degrees C. Suitable for all the toughest cleaning duties including vehicles, patios, driveways, agricultural etc. Complete With: 20m hose and lance, cleaning nozzle and steam nozzle. 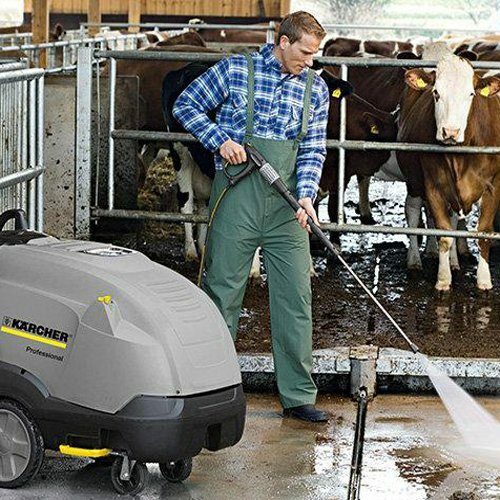 Kärcher’s HDS middle class hot water high-pressure cleaners reach very high levels of performance, reliability and economy. 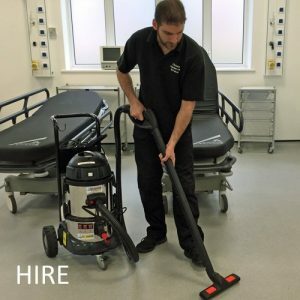 With innovative features such as the eco!efficiency mode, offering fuel savings of up to 20% without compromising cleaning performance, 4-pole motors for high performance and long life, on-board diagnostics, and 3-year burner coil warranty, the HDS middle class range provides our customers with the toughness, cleaning power, and low running costs they demand. The HDS 7/10-4 M features a 4-pole, air-cooled electric motor with long-life bearings and a 3-piston axial pump with ceramic pistons. 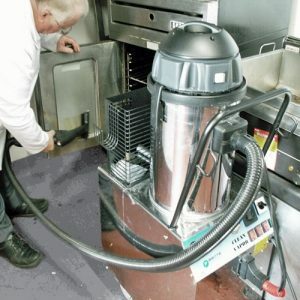 With water flow of up to 700 litres per hour, and up to 100 bar pressure, the 7/10 is a great all-round machine with superb performance for daily and deep cleaning jobs.